Valentine's return gift from Diarmuid. "The feeling of gratitude that eternally burns within me... Trying to express it with words is impossible with this brutish heart. 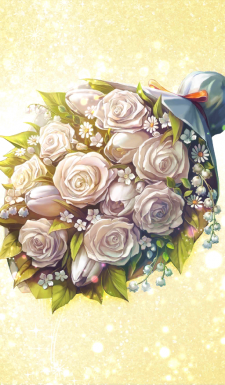 At least I shall gift you a pure white flower, which is so very like you."